SAFP encourages you to participate in our Youth for Women and Habitat Campaign. 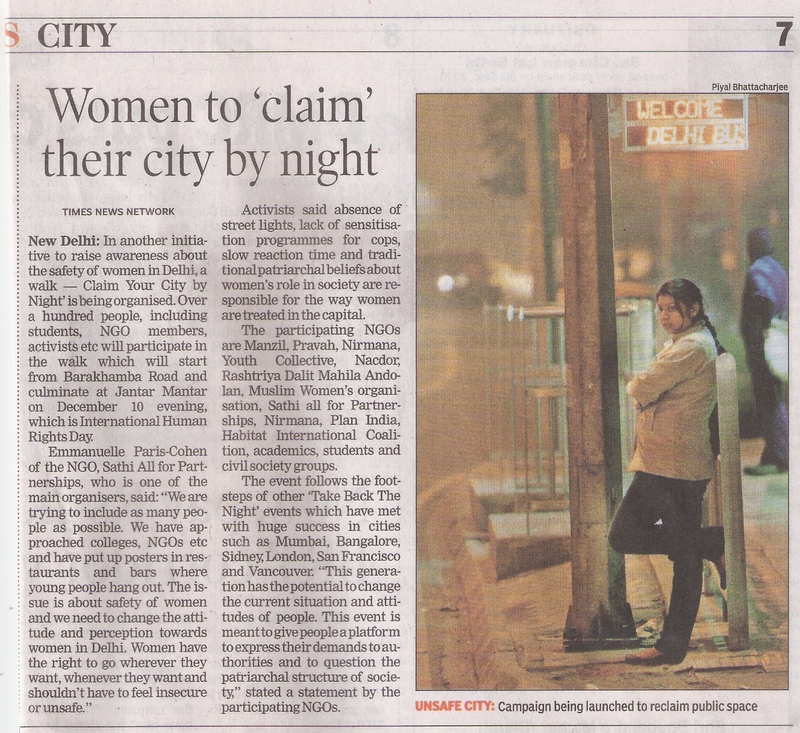 As a launch event, SAFP is partnering up with other Habitat rights and Women’s rights organisations to organise a Claim your City by Night walk. All are welcome to join, the more the merrier! – You want to get involved, be it for one night, one week, one year, your life! So please pass on the word!